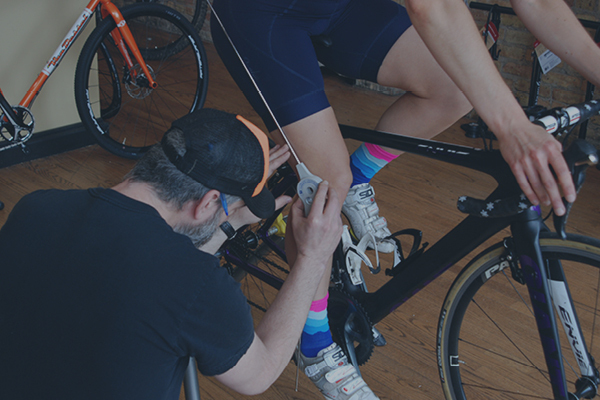 Whether you just bought your first road bike, are a competing triathlete, or are somewhere in between, a bike fit is arguably one of the best “upgrades” you could get. A proper bike fit will decrease the chance for injury, increase comfort, and maximise performance. 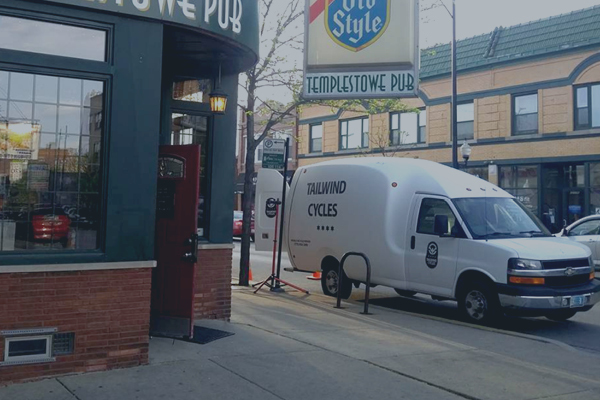 At Tailwind Cycles we fit the bike to the rider, not the rider to the bike. We accomplish this with a detailed, systematic process that begins with a brief interview followed by a thorough evaluation of the client on their bike in a stationary trainer. This process can take anywhere from one to two hours. Steven is a certified bike fitter earning that distinction from the Fit Kit System in 2011. Shifting and braking systems tested and adjusted for flawless performance. Cables, housing, and brake pads checked for wear/damage and labor for replacement as needed. Cranks and pedals inspected and bearings in drive system checked. Bottom bracket and/or chainring replacement labor included. Safety check of all stem, cockpit, saddle, and seatpost bolts for proper adjustment/torque. Basic headset adjustment. Labor for replacement of grips/ bar tape and saddle included. Tires inflated to proper pressure. Chain wear checked and chain properly lubed or labor for replacement included. This tuneup is ideal for casual riders, bikes that have been tuned up recently, or bikes that have been taken out of storage and need to be gone over. Includes everything in Minor tune up and also includes basic bike wash and the following: Both wheels removed from bike and basic wheel true performed. Hub adjustment performed on both hubs. Labor for tire or inner tube replacement or tubeless sealant installation. Firmware, charge level, and proper function of electronic shifting systems. This tuneup is ideal for most bikes and riders. A bike will come out of this tuneup flawlessly operating and ready for many more miles of riding. This tuneup will make any bike function better than brand new. It includes everything from the previous tuneups and also the following: full bike wash and drivetrain de-grease and cleaning. All bearing systems on bike will be cleaned and re-packed or replaced as needed. Bicycle wheels will be gone over in great detail, with spoke tension,true, roundness, and dish checked and adjusted as needed. Labor is covered for installation of any replacement parts, racks, fenders, or other accessories in this tuneup. This is the tuneup to bring a well-used or neglected bike back to top working order. Included follow up bike check within one month to insure all systems remain properly adjusted and working flawlessly. Spoke tension is adjusted to bring the wheel back within lateral tolerances. This service is required for wheels which need more attention than a basic true. Tensiometer will be used to obtain uniform spoke tension. Dishing gauge will be used to check and adjust wheel dish. Build one wheel from customer provided parts or consultation and order of parts to build wheel to customer specification keeping performance, weight, durability, and cost in consideration. We have extensive experience gluing tires onto road, time trial, and cyclocross rims for racing bicycles. Belgian taping available for additional charge. Don’t trust the person who builds the grills and patio furniture at the big box store to properly adjust the brakes, handlebars, and other crucial systems on your new bicycle before you ride it on the streets of a big city like Chicago. We understand not everyone can afford to buy a high-quality bike from a shop, but we believe everyone should have access to a safely adjusted bike with parts properly installed. We will check over the safety systems of your bike, make minor adjustments, and inform you of any major issues. Have your new bike shipped to our shop for assembly, bring it in yourself, or have us come to you to unbox and assemble your new bike (mobile service charge applies). We will install the handlebars, front wheel, and pedals of your new bike and the safety check the bike and make any minor adjustments needed. This service is for bikes packed using the standard methods used by most major manufacturers. Additional charges will apply if more extensive assembly is required. Full assembly of custom bicycle. This service is for when a bike is packed with frame, fork, parts group, wheels, and tires all packed separately. You can feel confident that all parts will be properly assembled for maximum performance, functionality, and safety. Any parts compatibility or safety issues can be identified and addressed before an attempt is made by you to ride your new bike. Pro-level, experienced team support for race-day. This charge is for one licensed, experienced race mechanic for one day of service. This service includes setup of race and spare bikes before race, support either in the pit or from team car as applicable during the race, and washing, check over, and repair(if needed) of race bikes after the event. Mobile service truck and caravan team car can be provided at additional charge. 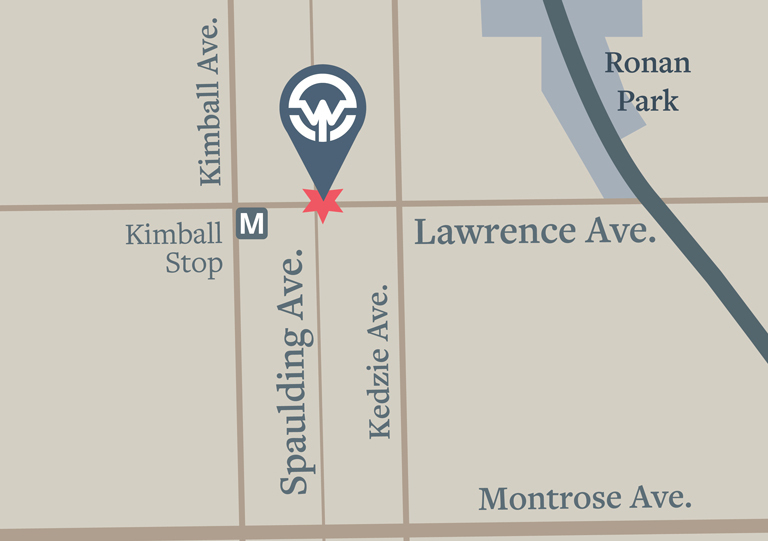 Our premier service for cyclocross racers in the Chicago area. This package includes one major tune up before start of season. After that, rider will have access to our mobile service truck, which will be at all series races, on race day. Your bike can be checked over, and precise tire pressure and last minute adjustments can be made based on course conditions. After the race, we will transport your bike back to our shop to be washed, checked over, and returned to you by the end of the day on Monday.